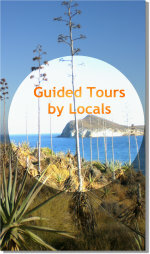 Paradors in Spain are popular lodging options and an interesting accommodation alternative . 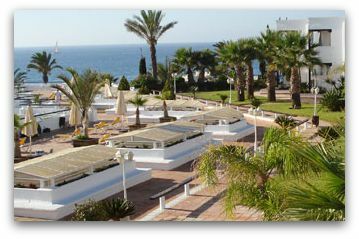 (Scroll down to the end of this page for details about the Mojacar Parador, the only Parador in the province of Almeria). 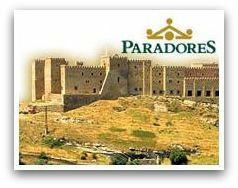 The word 'parador' (inn or stopping place) appears in many classic Spanish texts. While the 'posada' (inn) was the place where the animals were stabled for the night - the travellers were not considered as guests there - the parador was the lodging offered to the more respected persons. Based on this tradition, the Marquis de la Vega-Inclán, who was the Royal Tourist Commissioner in 1926, had the idea of setting up a series of State Paradors, a project which was personally approved by King Alfonso XIII. The first Parador was constructed in the Gredos mountain range and was directly related to the sport of kings, the Hunt. Later on, as the idea of tourism and travelling prevailed over other considerations, establishments were opened up at distances which corresponded to an easy day's journey in the automobiles of that time. This led to the creation of the Parador of Manzanares or Bilén, Oropesa or Mérida. 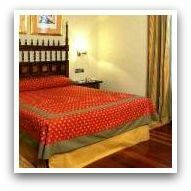 At present, the 'Red de Paradores' has a total of 86 establishments. The basic philosophy of the Paradors in Spain was and continues to be that of the State favouring hotel accomodation in areas where it would not be very profitable for private initiative to do so. However, there is a second aspect behind the Marquis de la Vega Inclan's initial concept. It was his idea to take advantage as much as possible of ancient monuments, old hospices, palaces, castles and convents for the installation of these Paradors. Thus, the traveller will discover today with pleasant surprise, that he can sleep in the same room in the Castle of Jarandilla de la Vera, where Carlos V is said to have stayed while he waited for his lodgings in the nearby Monastery of Yuste to be made ready; or he can dine in the rooms which belonged to the Alcalá de Henares University founded by Cardinal Cisneros, or even spend a few days in the Castle of Hondarribia against which the Prince of Condé laid a useless siege three hundred years ago. 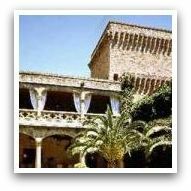 A trip to the Paradors in Spain is not only a trip through Spanish territory, but it is also through it's history, which can be traced from the upper Middle Ages to the modern architectural styles of the 20th century.